A year on from the 9/11 attacks on the World Trade Center, the British and American governments are seemingly determined to topple the regime in Iraq. Two dossiers are produced to support Tony Blair’s assertion that Saddam Hussein possesses weapons of mass destruction, a key justification of invasion. But doubts emerge over these crucial documents, calling into question the very honesty of the government in sending us to war. 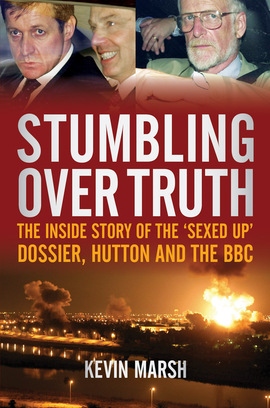 Ten years on, Today editor Kevin Marsh tells for the first time the inside story of the September 2002 dossier, the mistakes and the hypocrisy around the Hutton inquiry and the unrelenting pressure from New Labour and Alastair Campbell.